Tron begins training Beck, but Beck begins to have doubts about his own ability to live up to the challenges. 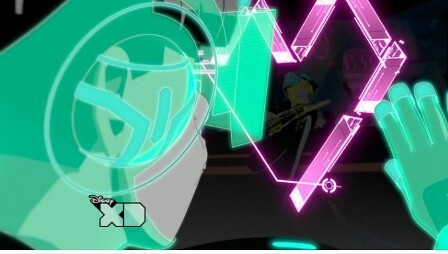 At 6:19 in the episode, notice that Zed makes a heart shape around the reflection of Mara. Abel's favorite light cycle is his ENCOM 786. Sam also rides his father's 786 in Legacy. The white-clad women who armor up the programs selected for the games are Sirens. Zed and Mara visit a night club in Argon City called 0001001. "0001001" is binary code for the number 9. Zed meets Perl at 0001001. The name "Perl" comes from a line of programming languages, used primarily on UNIX servers. At 16:34 in the episode, notice that an old-style bit (as seen in Tron) is seen hovering and spinning over a pedestal in Abel's office. Zed shows it to Perl. Later, in "We Both Know How This Ends", armor similar to Yori's is seen in Abel's office. The old-style bit and armor may suggest the Abel has a connection to the original Electronic World of Tron.